Last week felt so incredibly long but this past weekend has seemingly flown by. Maybe it's because I've spent most of it sleeping. And oddly, eating a lot of sandwiches. But essentially hibernating and loosing a lot of my weekend was so worth it. 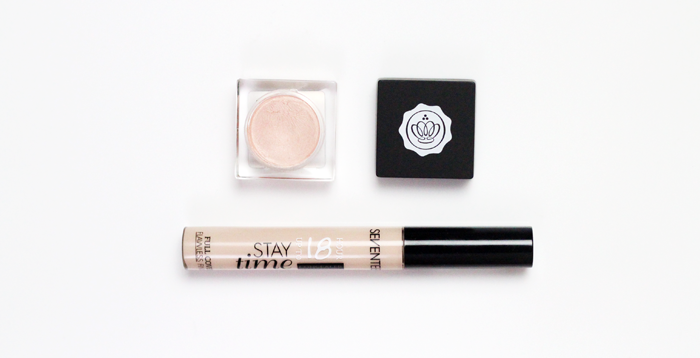 My favourite thing from the August Glossybox* has fast become a staple in my everyday make up routine, which surprised me because I'm usually too lazy to highlight on an everyday basis. I think it's because it's not too shimmery, not too gold or too pink. It's pretty fool-proof - even I, with my heavy handed application, can't go too far wrong. It's official, the Lasting Perfection concealer from Collection is no longer my favourite. In fact, I can't even wear it anymore because it looks way too obvious. I don't know if it's because my skin has changed or if my make up tastes have changed, but I'm more than happy to have a lighter coverage even if it means any redness isn't completely masked. Stay Time from Seventeen covers most of what I'd like it too and it doesn't really look like I'm wearing make up at all. Almost £40 for a face wash is mighty pricey, even if there is 240ml in the tube. Would I buy it again? Honestly, probably not. I'm pretty fickle though. But I have to say, it is nice to use something that's a little more expensive from time to time. It's gentle, not drying and free from a lot of the harsh chemicals I try to avoid. 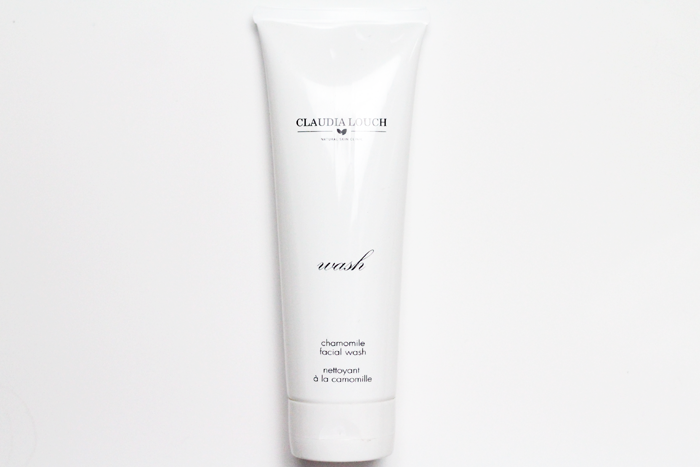 On paper it's everything I like in a face wash and if it were a little cheaper, it might even be almost perfect. I added this to my basket on a bit of a whim as I was shopping the Escentual sale a few weeks ago. I haven't really heard anything about it before, but I think the best way to discover new things is to just give them a try if you like the sound of them. 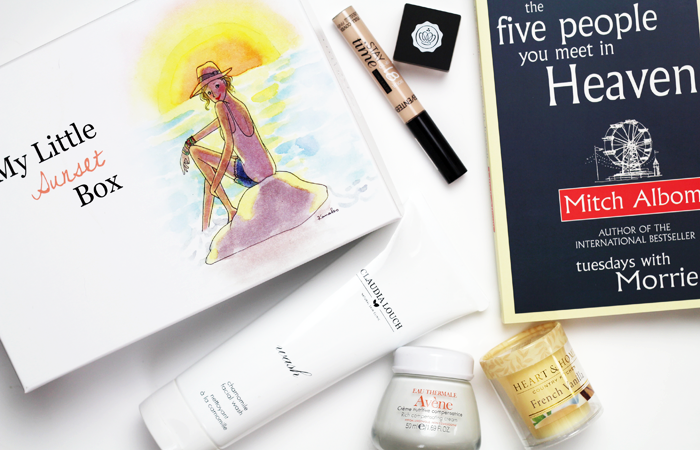 I already knew I liked Avene skincare, I had a feeling I might like this, and I really do. The difference in my skin in the week or so I've been using it (and a few other things) has amazed me. There's something about that thermal water that agrees with my face so this is my official note to self; do NOT start fiddling around with your routine again, stick with this one! I wasn't expecting to receive another box from France based My Little Box*, but I'm so pleased that I did. Their attention to detail is really wonderful and it feels like a such a treat having a good look through everything inside. 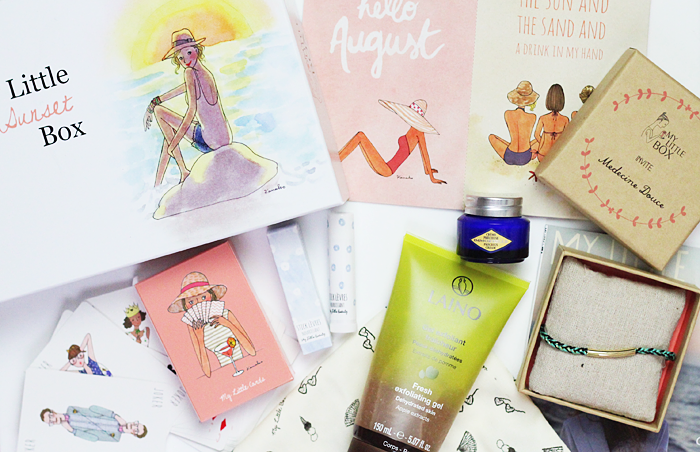 With some cute illustrated playing cards, a lip balm that smells like vanilla cupcakes, an exfoliating gel, a little jar of L'Occitane Precious Cream, a sweet bracelet and cute postcards, this box is just as fun and varied as the last. Launching in the UK really soon, I think it's one to look out for! 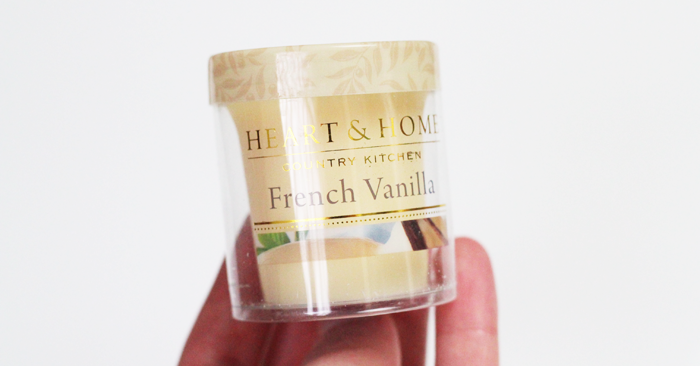 I was gifted some miniature Heart & Home candles and French Vanilla was the stand out for sure. I'm up for anything that will make my house smell like dessert really. The evenings have been feeling distinctly autumnal, I'm not sure where summer disappeared to so quickly, but I'm not complaining. 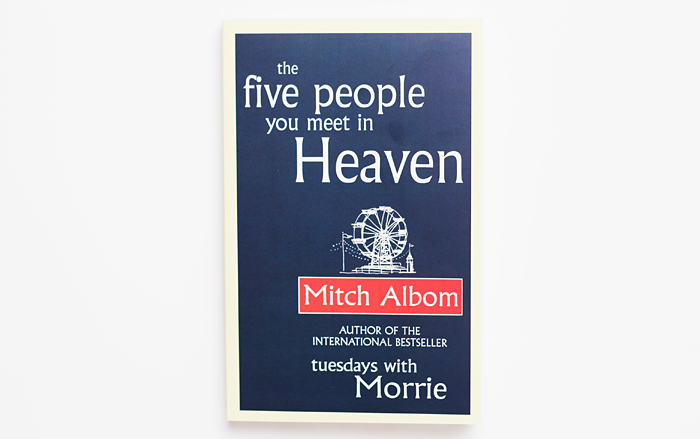 Mitch Albom has a knack for writing lovely little books that make me smile, and cry a little bit at the same time. Admittedly it wasn't quite what I was expecting and I liked 'Tuesday's With Morrie' a lot more, but it was exactly what I needed at just the right time. Is there anything you've been particularly loving recently? 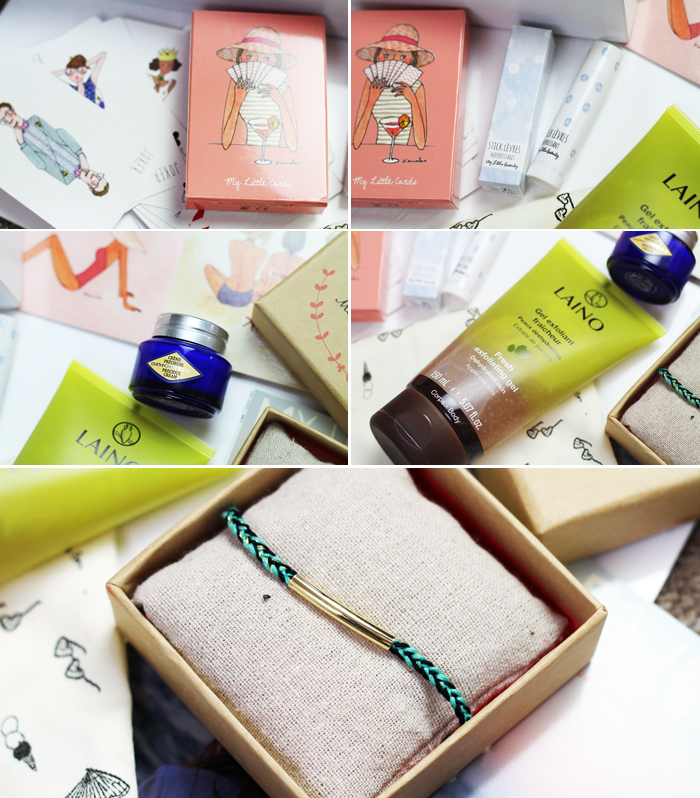 The box looks adorable, it's such a lovely little bracelet! 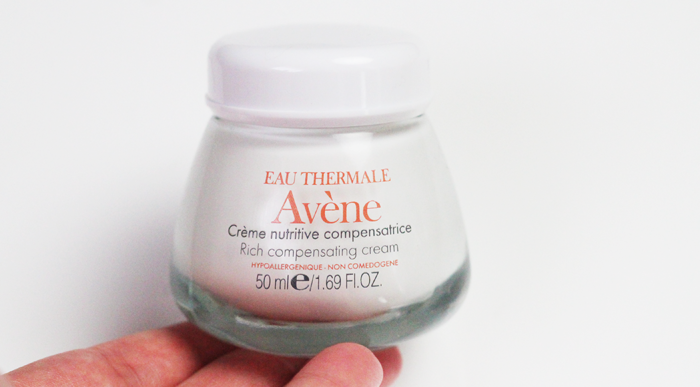 The Avene cream sounds lovely. I think im due a skincare shake up as my skin is feeling a bit dry recently! I liked Tuesdays with Morrie. But I'm scared to read The Five People You meet in Heaven for fear of disappointment. I've been looking for a new concealer, might have to give that one a go! I've got very rosy skin all the time, so I like to cover a little, but know that the redness is my natural complexion - sigh! A concealer better than the Lasting Perfection? No way! :o I wish we have that brand here! Lovely favourites! I love the bracelet in the box! I love the look of those little boxes from France - I can't wait for them to start doing them in the UK as they look so much cuter than any I've seen before! I'm very intrigued about the 17 concealer - I've been so impressed with 17 of late - their HD mascara is amazing! I've been on a candle buying ban, but I caved with that French Vanilla when I saw it in a shop. I just want to eat it! That box looks so nice! I love seeing subscription boxes looking worthwhile. I read that book a long time ago and enjoyed it, it was a kind of 'plodding along' book if that makes sense. The movie version of The Five People You Meet in Heaven is pretty neat too! I'm very proud to see a book I've read (out of the few that I have, haha). The gold bar is a cute addition to the bracelet! I'm so excited for the My Little Boxes to come to the UK! They look so cute and different I'll definitely be subscribing!